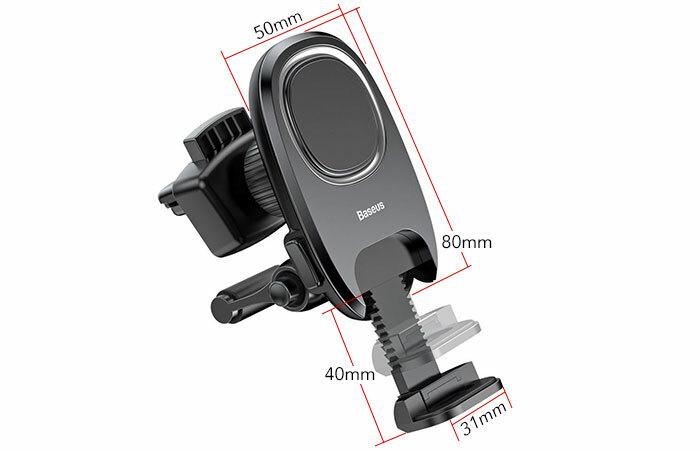 Base support protects your device from sliding down and it allows you to charge your smartphone while in the holder. 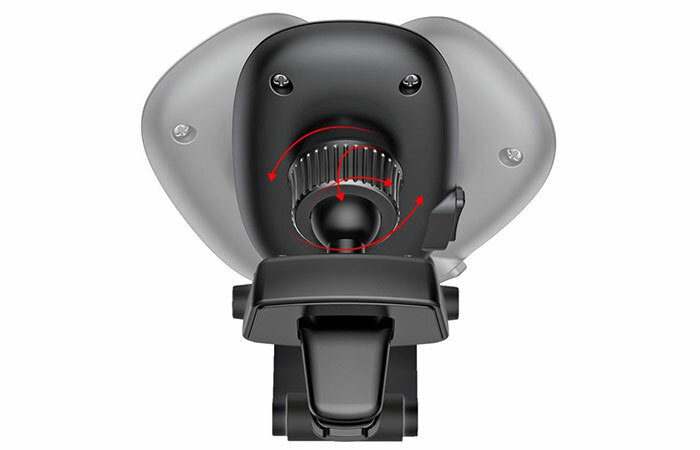 A ball joint behind the bracket allows you to adjust the viewing angle at your convenience. 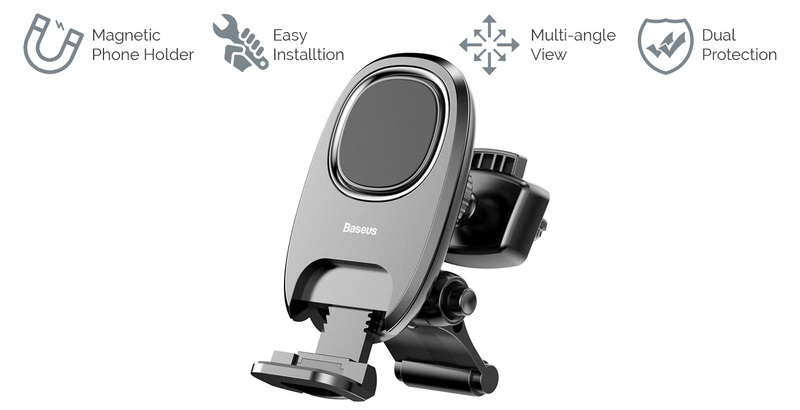 This in Baseus car mobile phone holder will be a great solution to hold your phone while driving. 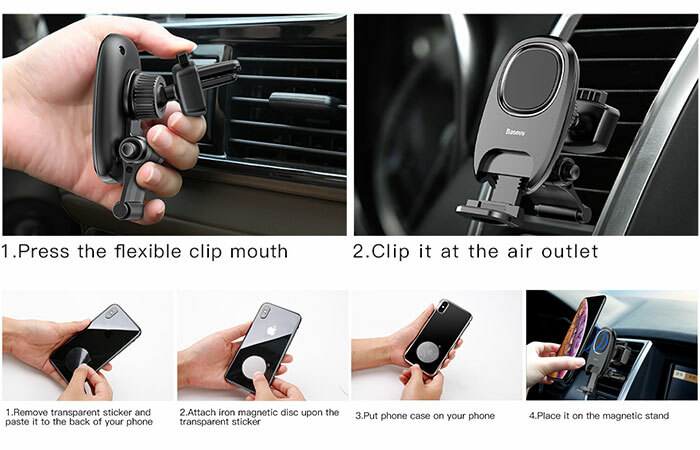 For safety and convenience this air vent magnetic phone holder will hold your phone firm and stable while driving. It uses strong magnets that you put in your phone case that you use to magnet-stick it to this mount on your car. 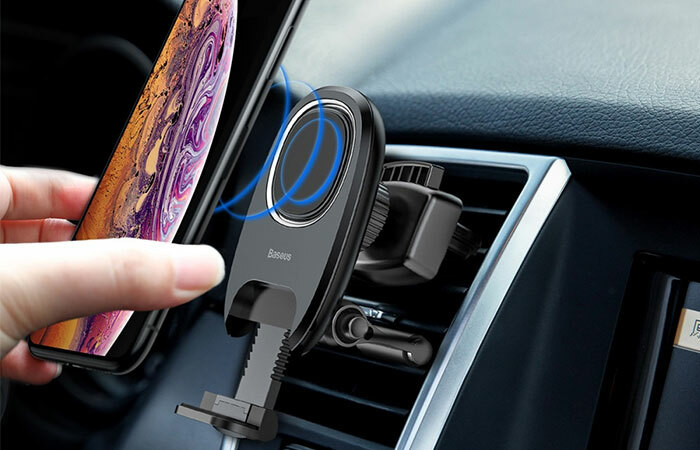 This phone mount has built-in four powerful big magnets that can hold your phone tightly even driving, sudden stop or braking. Plus it has an extendable stable base support. 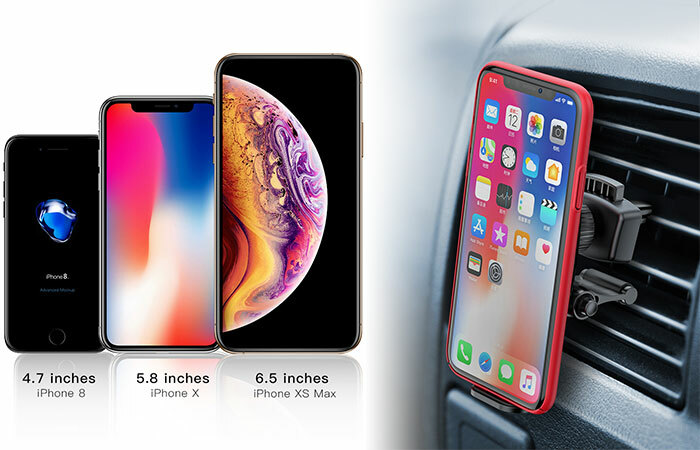 Get one now and you can stay focused on driving while keeping your phone in sight. 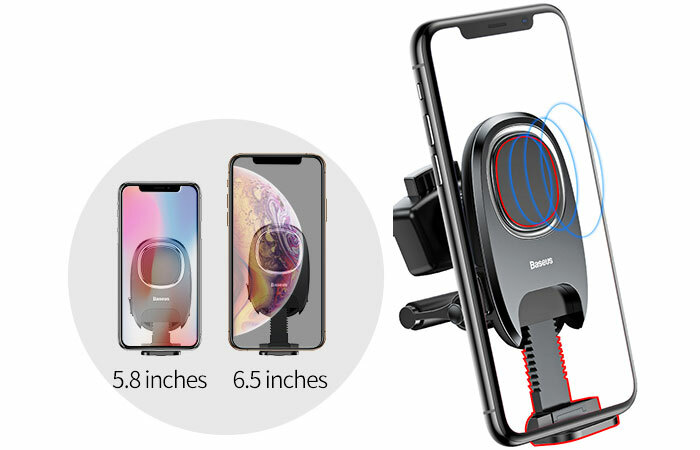 Base support avoids your device from sliding down, and the whole in it allows you to charge your smartphone while in the holder.